When you are looking for veterinary care, you should be able to count on superior care and excellent service. 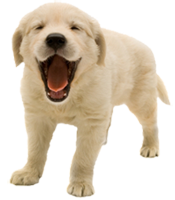 We at Island Animal Hospital in Palm Beach FL have assembled an expert team of veterinary professionals to bring you the best possible healthcare for your pet. We have a state of the art veterinary facility which is clean, comfortable, and efficient, and a compassionate, caring staff. Call 561-833-8552 to schedule an appointment and we will find a time that is convenient for you. Our wellness recommendations are based on the most current, advanced information, and are designed to keep your pet happy and healthy. We tailor our recommendations to your individual pet, considering age, lifestyle, and individual breed. Our typical wellness visit will include a full physical exam, and discussion of your pets individual risk factors. Vaccines and screening tests will be recommended to make sure your pet is protected. Our doctors will check the health of your pet from head to tail, and you will be very happy you came to Island Animal Hospital for service. Bring in any medical history you have of your pet when you come to our vet clinic. It's best to keep a journal of your pet's health throughout his or her life, including behavioral shifts. If you have something like this, share it with our team. If not, let us know everything that you think will be important. We'll make sure to address any concerns you may have. In some circumstances, your doctor will refer you to a specialist who has advanced expertise in areas such as internal medicine or surgery.